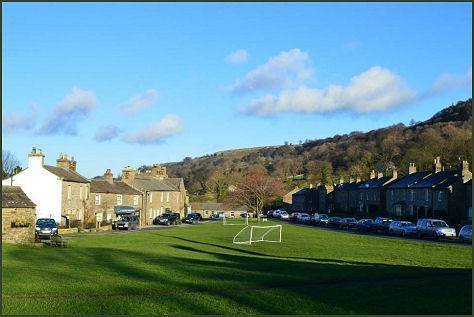 West Burton, with its broad village green, is said to be one of the most beautiful villages in the Yorkshire Dales National Park. 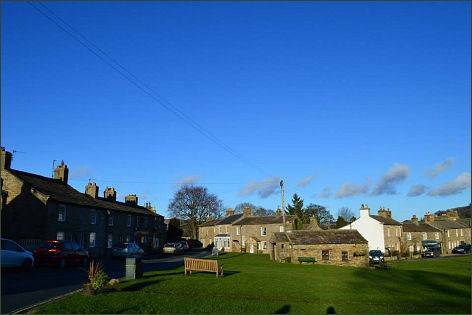 The village lies in a spectacular setting in the sheltered valley of Bishopdale, a side valley of Wensleydale and is situated 6.2 miles (10.0 km) to the south west of Leyburn. 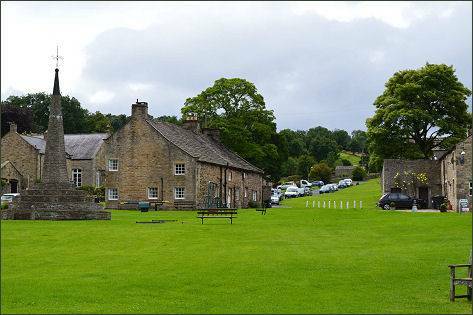 An ancient settlement, West Burton is mentioned in the Domesday Book of 1086, where it is referred to as Burton. The name derives from the Anglo-Saxon burh-tun meaning a fortified farmstead. The addition of West distinguishes the village from the village of Constable Burton, 9 miles to the east, which was similarly known as Burton in the Middle Ages. At the time of the Norman conquest, the village was owned by one Thorkil, but later the manor was granted to Geoffrey of Swaffham by Count Alan of Brittany. In the late middle ages the manor was held Richard Duke of Gloucester, later to become King Richard III. 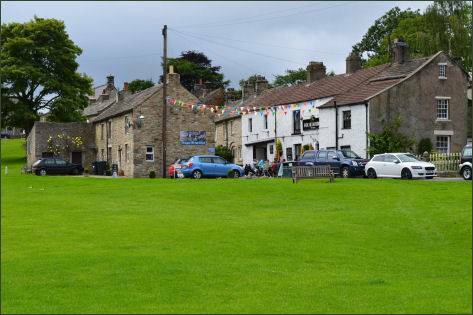 Having no through-road the village is tranquil and peaceful, an ancient octagonal market cross and stocks stand on the picturesque village green. 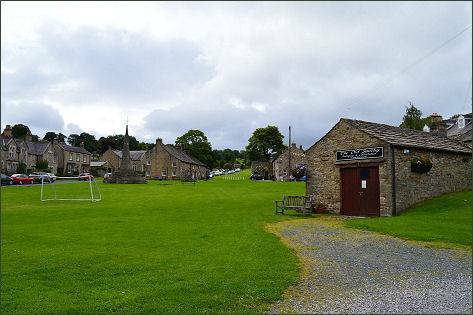 The village has a variety of shops including The Old Smithy Antiques, Moorside Design Cat Pottery and country shop/weaver's studio, Fabric of the Field. There is also a pub, the Fox and Hounds Inn, which offers good food and accommodation, a post office, tearoom, a butchers shop and a children’s play area. There is evidence of an Iron Age settlement on top of nearby Burton Moor, which consists of about eighteen hut circles and defined fields. 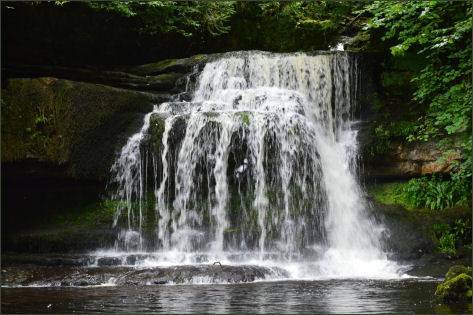 Walden Beck skirts West Burton and descends over rocky outcrops to form a small but spectacular waterfall. 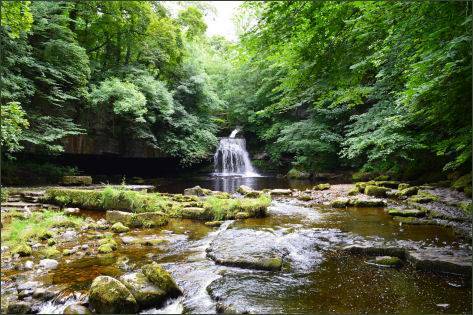 Visitors have been drawn to West Burton Falls, known locally as Cauldron Falls since the famous artist J.M.W Turner captured it. When the falls are in full force in the winter months or after heavy rain visitors can walk behind it. Turner visited the small but spectacular falls and sketched them in 1816, when he was taking a grand tour of Yorkshire, it has changed little since then. 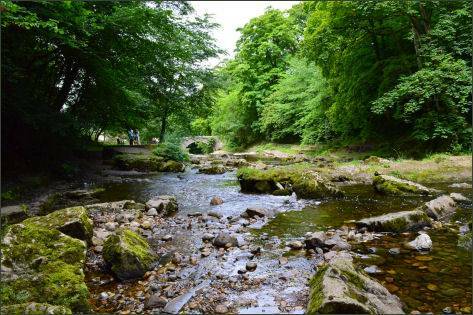 The falls are easily accessed by a short walk to the north end of the village and standing on the footbridge. The path that leads off from the footbridge into the country veers closer to the falls but they are secluded by woods after a while.